Just one more day and the 2017 Great American Beer Festival (GABF) will finally be here! Tomorrow several thousand excited beer lovers will put on their pretzel necklaces and head towards the Colorado Convention Center, anxiously awaiting the doors to open for the first day of GABF. But what will be waiting for them inside those doors? Obviously quite a lot of beer, but what else? The thing that makes the Great American Beer Festival so great, is that there is so much happening inside those festival halls. There truly is something for everybody. So if you just plan to go and sample the entire time, that’s fine. But take a look at all the special events and presentations happening this year, and maybe you’ll find that you can get something more than a whole lotta beer out of this year’s GABF. To continue with our GABF preparedness tips, today we want you to know all the great things that are happening in your session beyond the beer. Who knows, maybe you’ll decide to sit in on an educational session or a food pairing presentation. Perhaps you’ll want to take a short break to play a few games with friends or dance silently with strangers. There is so much to do, that half the battle is just knowing what your options are. Below we’ll give you a brief yet comprehensive breakdown of what you can find at this year’s fest. Enjoy! Whether you are a homebrewer or just want to learn a bit more about the beers you drink, you have plenty of opportunities to come away from GABF a bit smarter than you went in. Which is nice, considering all those brain cells you’ve probably already written off as the price of enjoying so much beer. Just kidding, of course… we know you’re super responsible. Still, better safe than sorry. One of the best ways to learn more about your beer is by chatting with the people who make it. Meet the crews behind your favorite brews in the Meet The Brewer section of GABF. Everyone staffing these booths are brewery employees, so they are always happy to answer questions or listen to you praise of their product. Maybe they can give you the dirt on what’s coming up next for their brewery, or perhaps they can share some tips to improve your homebrew. Either way, it’s fun to meet the people who make the magic happen. If you really want to beer geek out, visit the Brewers Studio Pavilion, hosted by The Brewing Network. Here they offer a few presentations each session that give you the chance to learn from some of the greatest brewing minds in the industry today. Did you ever wonder how storage or cellaring affects the flavor of your beer? Do you think you can tell the difference between kettle soured and barrel fermented beers? Are you curious how they come up with new beer styles, or recreate ancient ones? These are all topics being discussed in the Brewers Studio Pavilion this year. Check out the schedule to attend a session and learn something new about your brew. You can totally immerse yourself in the world of small and independent brewers at the CraftBeer.com Pavilion. Sip beer from your favorite breweries while you hear the behind the scene stories from the brewers themselves. If you want to improve your tasting techniques, learn from an official GABF beer judge how to better evaluate your beers. New this year, you can also visit the Beer Travel Pavilion and get all the inspiration and information you need to plan your next great beercation. We cannot stress this enough, do not miss the Protect Craft Guilds Pavilion. This is where you can meet the people who represent independent craft breweries in various states throughout the country. You can hear about their brewing scene if you’re planning a visit, or just chat up the guild member from your old home town. Perhaps most important, each state guild will be pouring unique beers from their state. These are beers you won’t find on the festival floor and you can often find some real hidden gems at these booths. Don’t pass them up. While you’re at the Colorado Brewers Guild booth, do your civic duty and Hop the Vote. This friendly brewing competition between our Colorado state lawmakers and craft brewers looks tough this year, as both sides brewed a different type of IPA. The Colorado House of Representatives teamed up with 4 Noses Brewing to make 4 Votes IPA, which they call a classic take on a bi-partisan IPA. Meanwhile, the Colorado State Senate partnered with Renegade Brewing on a big, juicy, yet easy-drinking IPA called Upper Chamber Haze. Try each beer, and expect to hear a bit of campaigning from both sides before you cast your vote for the best brew. The winner will be announced on October 7 at 3:45 p.m., but with two great IPAs, it’s probably safe to say we’re all winners. If you’re lucky enough to have tickets to Paired, we don’t have to tell you that you’ll be eating well. This fest-within-a-fest features 21 celebrated chefs paired with 21 independent brewers, which adds up to an incredible night of unforgettable pairings in a relaxed and intimate setting. This is pretty much our idea of heaven on earth. If you missed tickets to Paired, don’t be too blue. The Beer & Food Pavilion is back again this year, thanks to sponsor Red Robin (yum!) and no extra ticket is required. 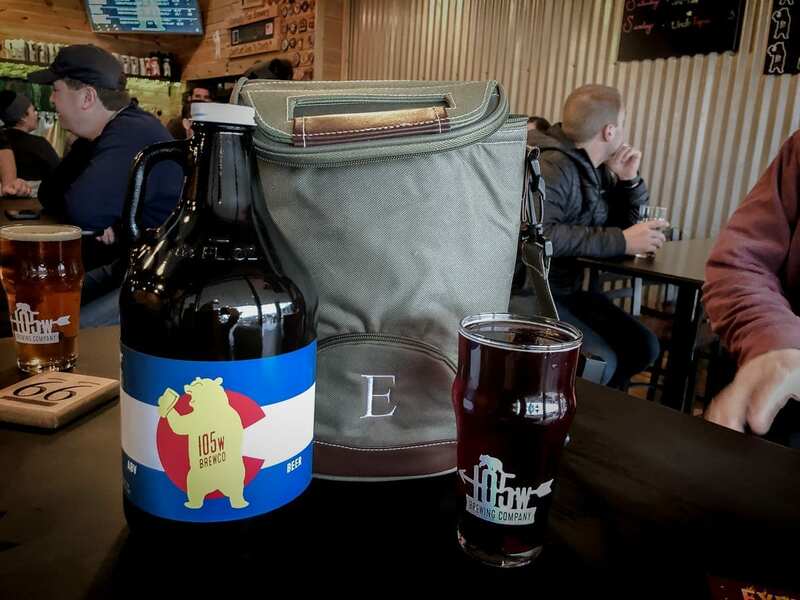 Learn the art of beer and food pairings from expert chefs and brewers, like Crooked Stave and Butcher Bistro, who are presenting on how to best pair your beer and meats. There’s a Denver Beer Co and Little Man Ice Cream presentation that features a brewsy version of an ice cream social. 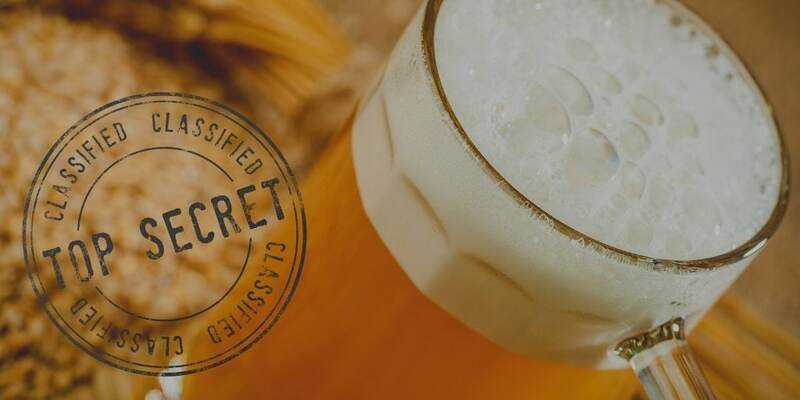 Finally, if you’re one of the first 50 attendees to join beer & food pairing expert Julia Herz for a palate adventure on Saturday night, you’ll leave with a free copy of the CraftBeer.com Beer & Food course to take home with you. Win/Win. Another great way to sample some food and beer pairings is a the American Cheese Society (ACS) tasting area. Featuring delicious cheeses from more than 40 (!) American artisan cheese producers. You can sample their tasty cheese while you learn about the ACS and American Cheese Month. The line can get long at this one, but lining up for cheese we completely understand. If you feel about cheese the way we feel about cheese, you’ll know the brief wait is worth the reward. Are you curious about homebrewing? Have you mastered the art and science of making a great beer? Or are you like most folks, somewhere on the spectrum in between? Regardless of your skill level, stop by and visit with the American Homebrewers Association (AHA) and they’re happy to help you get to the next level. The folks at the AHA can connect you with their national homebrewing community and provide all the resources you could ever need to improve your brew days. Learn more about the AHA at HomebrewersAssociation.org and then go ask them how they can help you make your best brew. While visiting the AHA, don’t pass up the Pro-Am Competition Booth. All of the beers poured here are GABF Pro-Am entries. They started out as AHA award-winning homebrew recipes, and were then scaled up and brewed by professional brewers. 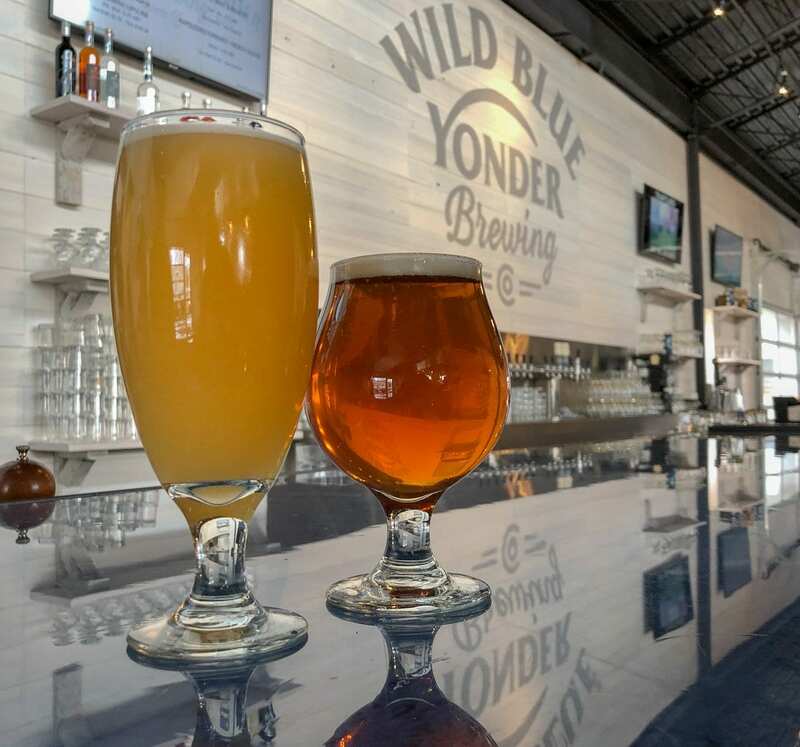 You’ll definitely find some unique and delicious beers here that you won’t find elsewhere. If those Pro-Am beers inspire you to kick up your own homebrew game, visit the Homebrew Marketplace. You’ll find lots of exhibitors here, each showcasing the tools and services to help you brew better beer. From books to ingredients to full brewing systems, you’re sure to find something to add to your homebrewer’s wish list here. When it comes right down to it for most attendees, GABF is about having a good time. There are plenty of spaces where you can hang out with your friends or even make some new ones. Stop by The Backyard and enjoy live music and photo ops while you play yard games with your friends. Because besides cheese, nothing pairs better with beer than a game of corn hole. If you’ve reached the number of beer samples that makes you feel like a rock star, show everyone what you’ve got on the Karoke Stage. If you want to work off some of those beer calories, head back to the Silent Disco and shake your booty. If all else fails, just find a comfy spot to hang out and check out all the costumes. You’re sure to see more than a few good ones. When we aren’t at GABF we love to hang out in our local brewpub, so when we are at GABF we spend some time at the Brewpub Pavilion. This special section in the center of the festival floor features 42 brewpubs from around the country, each pouring their finest brews. It’s a bit less crazy than some of the aisles, and it’s in good proximity to tables and games if you need a little break. Feel free to hang out here a while, we won’t judge. As you certainly know, GABF is not just a beer festival but is also a national beer competition. Do you ever wish you could sample all the medal winning beers after the fest? Well, you can, at the Heavy Medal Booth. This booth showcases medal-winning beers from the previous Great American Beer Festival and the World Beer Cup. These are beers already determined to be some of the best examples of their style in the world, so you know they are good. Try them out and see if you agree with the judges. While you are wandering through GABF, make sure you visit the fun merchants and vendors. There are lots of goods and services for sale, and you’ll find some really cool and unique stuff. It’s the perfect place for some sipping and shopping. Pick up something for the beer lover in your life. Better yet, pick up something for yourself, you totally deserve it. Don’t forget the Merchandise Booth, featuring shirts, hoodies, hats, etc. from many of the GABF participating breweries. New this year there is also a Mini Merchandise Booth where you can shop from a smaller collection of commemorative items. You know you need a GABF shirt, otherwise how will everyone know you were here? Now that you know everything you can do at GABF, it’s time to take a look at the schedule and make some decisions. For all the event specifics, visit the Event Schedule page on the GABF website. Better yet, you can find all this info in the My GABF app. Open the app and click the three dots in the lower right corner to view 2017 Extra Info. That’s where you’ll find the event schedule, exhibitor list, and more. While you’re there, don’t forget to update your My GABF app. The beer list is scheduled to be released today, October 4. You’ll want to load that before you hit the festival, so you have all the info you need to navigate towards your favorite beers. You are now well versed in everything GABF has to offer. The only thing left to do is go forward and conquer that festival!